Although you may think that you have to take your dog to a professional dog groomer you will be surprised that you can do the same job at home. If you are confident and like spending time pampering your dog then you will love grooming them. This can help to build up a greater bond between you and make your dog respond better to you. With some research and some grooming equipment you will be able to achieve parlor looks in the comfort of your own home. This will also cost a great deal less and save you the inconvenience of having to drop off your dog to the parlor. Learning how to groom your dog can be very rewarding and you will be saving yourself vast amounts of money at the same time. Although grooming parlors have a lot of different pieces of equipment you can buy some of them and this will be enough. As you are only grooming one or two dogs it does not need to be very expensive equipment and only needs to be suited to your dog. You will need a good quality brush which suits your dog’s hair and although combs and scissors are handy they are not essential. You should learn which shampoos are the best for you to use on your dog and if they have any allergies which shampoo will suit their skin type. You can easily research all of the different products available and where to find them. 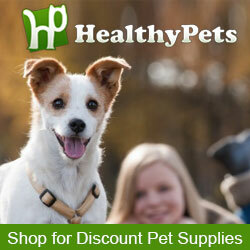 Buying your supplies from a pet store may be easy for you to do and for a wider range you can look on the internet. You also need to learn how to trim your dogs nails properly. Although this can be difficult at first once you understand exactly what to trim then it will be easy for you to do. This part of the grooming is essential and will keep your dogs nails in a healthy condition. If you set aside time once a week to groom your dog then they will begin to look forward to it, you can spend quality time making your dog look great. They will feel fantastic and so much healthier if their coat and skin is being looked after. Spending a short amount of time on your dogs care can make a huge difference to their lives. Their quality of life will be so much greater and you will proud know that you achieved the great look that they have. Although dog grooming can take patience and time to learn it once you have the skills then you can benefit from them. You may find that you enjoy it so much that you want to start your own dog grooming business and then you can share your skills and talents with other people and their dogs. Although you may not have thought that wanting to care for your dog may lead into other things. Dog grooming is a great business to get into and if you market it right then you can make a great deal of money from it.